Ratalaika Games and Wraith Games have announced that Collapsus has been delayed on Nintendo Switch, and will now release in 2019. In this award-winning puzzler, you to rotate the play area to change gravity. 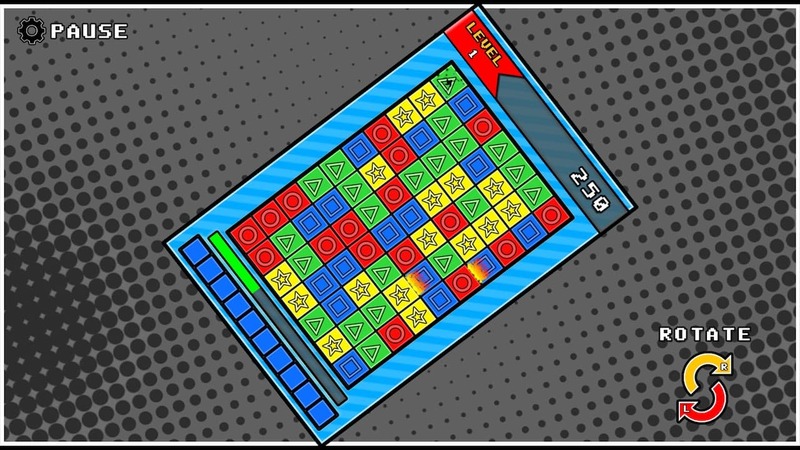 With Leon the Chameleon, you will have to tilt, turn, flip, and crunch blocks, with Puzzle Mode throwing 300 built-in single screen puzzles in your direction. If that isn’t enough, there are three Standard difficulties and another two that can be unlocked, 25 mind-bending Challenge Modes, 25 Plus Modes that add crazy mechanics, and a Zen Mode which is ideal for when you want to sit back and relax. The developer has also taken time to add accessibility options for differently abled players, such as colour-blind palettes, dyslexia-friendly font options, and remappable controls. Collapsus will release on the Nintendo eShop for Nintendo Switch in 2019.